The Third Committee of the UN General Assembly adopted a resolution on the human rights situation in North Korea on 20 November. Having decided to abstain on the vote due to political concerns, South Korea has been accused of inconsistency and of maintaining double-standards. (Bangkok, 27 November 2007) On 20 November 2007, the human rights situation in Democratic People’s Republic of Korea (DPRK) was thrust into the international spotlight once again, as a resolution on the country was adopted for the third time in as many years by the Third Committee of the UN General Assembly. The resolution was passed with 97 countries voting in favour, 23 against, and 60 abstaining. South Korea was among the states abstaining. South Korea voted in favour of the resolution on the DPRK for the first time 2006 last year, having abstained in 2005 when the resolution was first tabled. South Korea similarly abstained in the UN Commission on Human Rights between 2003 and 2005. This body has since been replaced by the UN Human Rights Council. The change in the position of the South Korean government position was due to political concerns. It is keen to foster further improvements in its relationship with the North after the 2nd Inter-Korean Summit, which took place between 2-4 October 2007. It is also eager not to jeopardise progress in the ongoing Six Party Talks on nuclear issues between the DPRK and its neighbours around the Korean peninsula. The situation was different when South Korea voted in favour of the resolution in 2006, as unilateral missile tests by the North had brought about a deterioration in the relationship between the two. The UN resolution demands that North Korea resolve abductees issues and urges it to end human rights violations including torture and other cruel and inhuman punishment. The trafficking of women for prostitution is highlighted, and malnutrition is identified as a violation of human rights and fundamental freedoms. 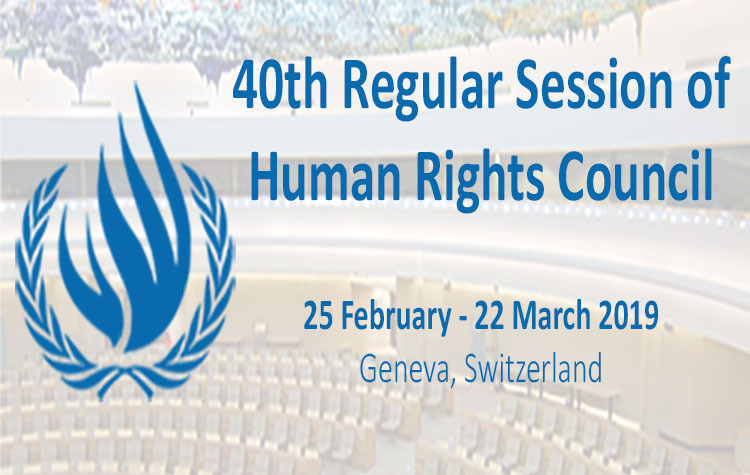 The resolution also urges North Korea to allow UN agencies and NGOs to operate, to cooperate with UN Special Rapporteur on the situation of human rights in the DPRK, and to be open to dialogue with the international community. Prof. Vitit Muntarborn, the UN Special Rapporteur on the DPRK, has been refused permission to visit the country since he first assumed his mandate in 2003. Human rights NGOs in South Korea are divided over the resolution itself and the position of South Korean government. Some have criticised her for inconsistency in her position or double-standards in dealing with human rights in North Korea, insisting that there has been no significant improvement in human rights situation on the ground. Others have criticised the unbalanced and politicised contents of the resolution itself, which they think are not adequately sensitive to the political reality in Korean peninsula.